On our homestead, we raise several rare breeds of chickens. In part, this is because we enjoy their beauty, and also because the breeds have advantages over more popular breeds of chickens. In this episode of What The Cluck?! 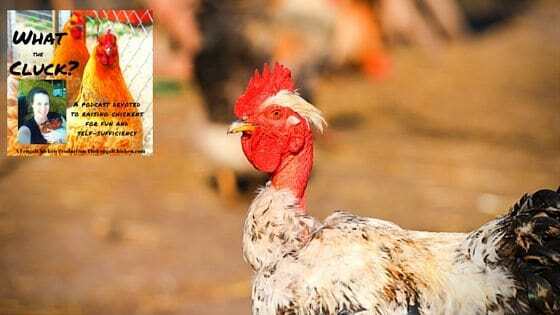 we examine 4 rare breeds of chickens, and their advantages. Three of the breeds we actively keep on our homestead, and I think you’ll be quite surprised at some of the information you’ll learn. 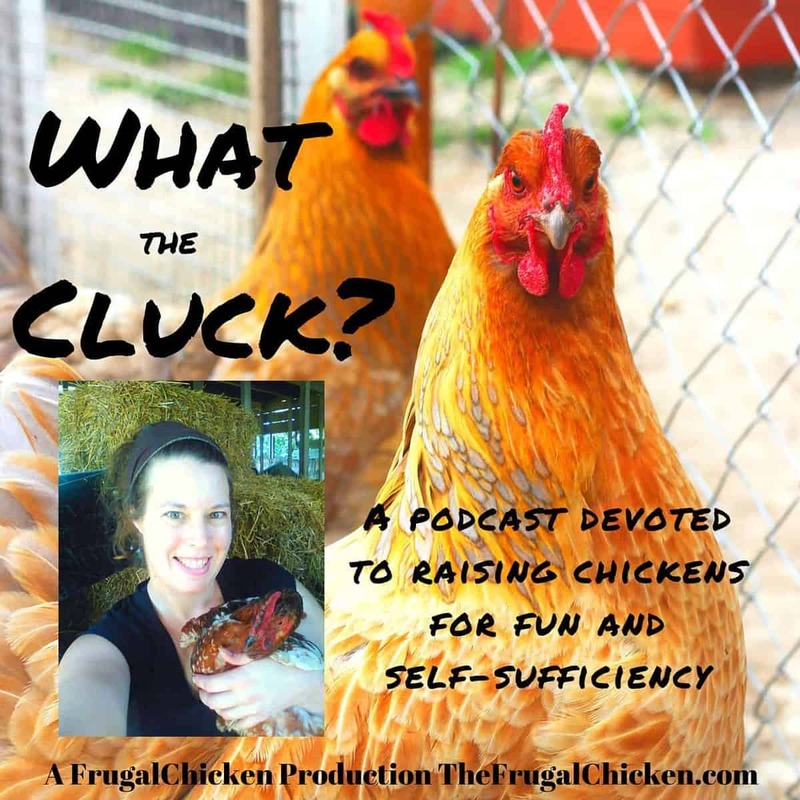 Hi there, and welcome to session 11 of What the cluck, a podcast devoted to keeping chickens for fun and self sufficiency. I’m maat from FrugalChicken, and in this episode we’ll look at rare breeds of chickens for your homestead and I think we have some really cool birds to talk about! So stay with me! Now before we get started, I just want to briefly mention a company that I love and that’s Thrive Market. Why do I love them so much? Well, first off, if you don’t know what Thrive Market is, it’s an online organic supermarket, and it’s a little like Costco meets your favorite farmers market. I personally buy a lot of the products I can’t make myself from Thrive Market, and I’m talking about products like turmeric, coconut oil, etc. Products that we use every day at home to lead healthier lives. Thrive is membership site, and their products are anywhere from 15% to 20% cheaper than I’ve found elsewhere. I value my Thrive Market membership, and love that it’s a company with a conscience. As a green company commited to sustainable practives, all their products are ethically sourced, and I feel confident buying from them that I’m doing the best I can for our environment. Now, let’s get on with why we’re here. Today we’re going to talk a bit about unusual breeds of chickens you can have on your farm, and the great thing about these breeds is they’re useful, so obviously they lay eggs, but they’re also beautiful chickens for their feathers. These rare breeds of chickens lend quite an exotic air to any homestead, whether you live in an urban area, or a rural area like I do. Now, I’ve kept a majority of these rare breeds of chickens we’ll talk about today on our homestead, in part for their eggs, but also, like I said, because they’re beautiful birds and are just a lot of fun to have in any flock. Whether you keep chickens for their usefulness or just keep them as companions or anywhere in between, these rare breeds of chickens are for you. Ayam Cemanis, which are the chickens that are completely black. So, let’s dive in and start with naked necks. For the longest time, I kind of poo pooed this breed, largely because of their looks, I found the naked neck too bizarre looking for my tastes, and never considered these chickens. All that changed when I received them as “packing peanuts” in a group of meat chickens I’d ordered from a hatchery. Now if you don’t know what packing peanuts means in terms of chickens, they’re the extra chickens, usually roosters, that hatcheries send to either keep the other chicks warm, to make up for chicks that die enroute so the customer gets their full order, or they’re chicks the hatchery is just looking to get rid of to reduce their inventory. So I got these naked neck chicks, and was pretty stunned I got them in the first place since they’re considered one of the more rare breeds of chickens. And really, to be honest, as soon as I pulled them out of the box, I was really excited to have them. And for the record, I’m quite certain these chickens are all roosters. They’re only about 13-16 weeks old, I can’t remember exactly how old off the top of my head, but they’re some pretty cool guys. While as chicks they look really funny, they have tufts of fuzz at the top of their head, then the back of their necks are completely free of fuzz or feathers, obviously their feathers have grown out now, then the rest of their bodies are covered in feathers. It’s a pretty weird picture as far as breeds of chickens go, but they’ve made great additions so far, and the largest advantage of the roosters that I can see so far, aside from their easy going personalities, is the naked necks would make it very easy and clean to butcher them. For a homestead looking for chickens that grow a good weight, are hearty, and who might be a little concerned about being able to butcher humanely, the naked neck might be a good choice for you. Sometimes when butchering chickens, the feathers can get in the way, and there’s no issues with that when it comes to naked necks. So what’s the deal with this rare breed? Let’s talk a little bit about this breeds history and how it came to be. According to Wikipedia, naked necks chickens were originally from Transylvania, but were largely developed in Germany. The name “turken” is a misnomer, because people used to believe the chickens were derived from a cross between a turkey and a chicken, but obviously, that’s not the case. The naked neck was recognized by the American Poultry Association in 1965, according to their website. The trait for the naked neck is a dominant gene, so if you breed a naked neck with a feathered necked chicken, some of the offspring will have naked necks. Now the really interesting thing about this breed is that a study performed in France in 2006 showed that naked necks, either pure bloods or those mixed with other slow growing breeds, like a heritage breed, were more efficient with their feed, grew larger, and were healthier than regular broilers, like a Cornish cross. They were also able to better withstand the heat, but the most striking aspect of the study was that the naked necks grew better and required less feed, largely because of their naked necks. Of course, I’ll put a link to that study about naked neck chickens in the show notes, which you can access at thefrugalchicken.com/podcast11, all one word. The roosters in this breeds of chickens get to be around 8.5 pounds while the hens get to be around 6.5 pounds (from the Oklahoma State University records), which is excellent for a meat bird. So, if you’re looking for a breed that would be good all purpose bird that’s a non-hybrid, or breeds of chickens to raise for meat, the turken aka naked neck is a great one. So next on our list of rare breeds of chickens we’ll talk about today are blue copper marans, and I’ve raised them on our homestead for about 2 years now. Just a brief history of the marans, these rare chickens are derived from the French town of Marans, which is in Western France. Now from Wikipedia, Marans were derived from local feral chickens that were descended from fighting game breeds of chickens carried from Indonesia and India. These breeds of chickens were “improved” as meat birds by pairing the feral birds with Croad Langshans. The marans chickens were developed as dual purpose fowl known both for both eggs and meat, and according to some French chefs, it’s the best chicken meat available. So, about a couple years ago, I got bit with the rare breeds bug, and hopped on the Marans bandwagon after learning their eggs were so highly prized in France for their quality, that some chefs will only use eggs from Black Copper Marans chickens. While I’ve had trouble finding quality black cooper marans in my area, I try to buy my laying birds locally, I’ve had great luck finding blue copper marans locally, and let me tell you these are some of the most colorful and beautiful breeds of chickens you can raise on your farm. The males and females look quite different, and of course the roosters are much more colorful. They’re grey chickens, with varying shades of grey in their plumage, but the roosters also have gold and red feathers as saddle feathers and on their necks. Both males and females have feathered legs. According to the Marans of America club, the blue copper marans are a variety as old as the marans breeds itself, and because the blue marans don’t breed true, it means they can come in a variety of shades of grey or blue, but will also have the red and gold feathers. If the genetics of breeds of chickens interest you, you can read more about it at the Marans Of America club website, and I’ll put a link in the show notes. The hens lay wonderful, large, dark brown eggs, although they can range anywhere from a light brown to a dark, dark chocolate color, like a chocolate lab. One hen also lays speckled ones, so they’re a dark brown with darker brown speckles. This breed of chickens is really quite lovely, and I recommend blue copper marans as layers. Largely they’re healthy chickens, we’ve had about 10 on the farm, and most have made it well into adulthood. The hens are not the friendliest birds as far as breeds of chickens go, they are definitely not lap chickens, but the roosters are quite friendly, and we’ve had two blue copper marans roosters that enjoyed human company and that allow us to pick them up and pet them. So it’s really remarkable the difference between the two genders. The hens don’t lay as efficiently as breeds of chickens like production reds, for example, and mine seem sensitive to their protein intake and to heat, requiring more protein than a production red and laying less in the heat. But your experience might differ, and honestly, when it comes to these heritage breeds, it’s not reasonable to expect them to lay like an industrial hybrid might. I think it’s more important to enjoy them for what they are, a really cool breed that lays really cool looking eggs on a very regular basis. Like I said we keep blue copper marans chickens largely for their dark eggs and beauty. So third on our list of rare breeds of chickens are cuckoo marans, which in reality are a type of marans but for the sake of our podcast today we’ll talk about them separately from the blue coppers, and mainly that’s because these breeds of chickens look quite different, and I think their personalities are different too. We’ve had a few cuckoo marans hens here, and largely they were very friendly chickens, with a more pet mentality than our blue copper hens. Like the blue coppers, the cuckoos lay dark brown eggs. Unlike the blue coppers, however, the cuckoos look quite different. These chickens have the barring gene in them, so they look similar barred breeds like a Plymouth Rock hen. So, if you want dark laying breeds of chickens, and want to try something a little different, cuckoo marans might be for you. Like other marans, the eggs from the cuckoos can range from a medium light brown to a dark, chocolate brown and they lay a large egg nearly every day. Like other breeds of marans, I’ve found that the cuckoo is less efficient in how they use feed, so they need to eat more, and are more susceptible to not laying if their protein intake isn’t high enough, so if you do keep a these chickens, it’s important to watch their feed intake, and if they don’t lay, or are not as productive, then you will need to increase the amount they eat, or use a higher protein feed. Something like a handful a day of mealworms per every 4 chickens would probably be sufficient, but again, you need to keep a close watch on your flock because every bird is different. As far as breeds of chickens for meat go, Cuckoo marans are a great choice, and are highly prized in Europe for the quality of their meat. Males can reach 9 pounds, which is excellent for a meat chicken, while a hen will reach about 7 pounds. So the cuckoo marans are one of the great dual purpose breeds of chickens. Now, when it comes to egg color, obviously, cuckoo marans are prized for the color of their egg shells. So because the dark eggs are so prized, sources show that especially Vitamin K and calcium can have some limited help with keeping the dark brown egg shell color, according to Cackle Hatchery. So, here’s some interesting facts about marans, and these facts apply to the black copper, blue copper, and cuckoo breeds of chickens. Now, marans come obviously in many different “breeds” but a breed isn’t considered a true marans unless it consistently lays a #4 brown egg. So what does this mean? Well, to preserve the best qualities of the marans breeds, a color chart was developed, scaling the color of marans eggs from 1 – 10, based on how dark the brown color is. So, they have this darkness scale, developed in France, and unless the hen lays at least a #4 dark brown egg, she’s not considered part of the true marans breeds, which tells you something of how important preserving this particular quality of these breeds is. Now, in the show notes, I’ll put a copy of the scale, and you can access those notes at breeds of chickens were “improved”. So, when grading these eggs, the French wait until the hen has layed a dozen, and the reason for this is the first few that a hen lays can remain in the oviduct longer as her body acclimates to producing eggs. So, the first few ones a hen produces might be darker than she is able to produce for the rest of her life. To preserve the accuracy of the scale and the best qualities of these breeds, and to help with breeding decisions, it’s necessary to wait until the hen lays a dozen eggs. Our marans chickens lay regularly a 5 to a 7 on this darkness scale, depending on the bird, and we have one that lays probably an 8. The thing about the cuckoos and marans in general is every single egg won’t be the exact same color, and their ability to produce the dark brown color waxes and wanes over a chickens life. So the last breed we’ll talk about today are Ayam cemanis. There are many unusual breeds of chickens you can have on your homestead, but today we’ll just stick to four for the sake of time. So we’re talking about ayam cemanis because they’re gaining popularity in the US in part because of their color and because they’re rare for lack of a better word, and in part because true ayam cemanis are very expensive, and they’ve gained a cult following in this country for these two reasons. So what’s the deal with this breed of chickens? So the ayam ceman originated on the island of Java, in Indonesia, and they’re prized in that country for their mystical powers, and are an important part of traditional culture there. They were first brought to Europe in 1998 by a Dutch breeder, and grew in popularity there. Ayam cemanis are pure black, including their organs, muscles etc. The reason these rare chickens are pure black is because of a genetic condition called fibromelanosis which is caused by a mutation that affects how pigment-producing cells work. So, a study done in Sweden in 2011 looked at four breeds of chickens with characteristically dark skin. These breeds were Silkies from China, which are pretty popular in the US, the Ayam Cemani from Indonesia, Black H’Mong from Vietnam and Svarthöna from Sweden. And basically, these researchers were trying to understand why some breeds of chickens evolved with this black gene and how it works. A gene called endothelian-3 (EDN3), was involved in the regulation of melanocyte cells which produce pigments. So, these researchers found around 10 times as much EDN3 was expressed in the skin of adult black chickens than in other breeds. So the bottom line is that in these breeds of chickens, the gene that regulates pigmentation is in overdrive in the ayam cemani, resulting in the black coloring. So, that’s kind of a scientific nerdy explanation about why the Ayam cemani and the other breeds of chickens studied look the way that they do. Now, true Ayam Cemani will be a true black, so it’s head will be black, and so will its feet, tongue, etc., and any chickens that don’t display this quality is a hybrid. Now, if you want to keep ayam cemani on your farm, you will probably have to pay quite a bit for your chickens, and I highly suggest you do your research, and buy from a reputable source. The reason for this is I’ve seen “ayam cemani” chickens for sale on e-bay and their hatching eggs for sale, and an unsuspecting buyer could easily pay purebred prices for hybrid chickens. So, I don’t personally have any sellers I recommend, but I encourage you to do your homework. If you want to keep ayam cemani on your farm, you can do so for the eggs or meat, they are chickens after all, but their real value seems to be in the breeding, and if you’re looking for a way to bring income to your homestead or just want to keep a cool chicken on your farm, ayam cemanis might be the way to go. The ayam cemanis, being so intertwined with Indonesian and other eastern cultures, is highly valued for its traditional relevance. In some countries, when a bank opens, for example, an ayam cemani chicken might be butchered in a good luck ceremony, and the darker the chicken meaning the more black it is, the stronger it’s powers of good fortune. So some sellers in the US have been able to cash in on this breed for those reasons. We have considered keeping ayam cemanis on our farm, but the cost for a true black cemani is so high that for right now it doesn’t fit into our personal goals. So, the interesting thing here is these breeds of chickens have a third purpose on a farm besides eggs and meat. So, I hope this episode has given you some ideas for rare breeds of chickens you can keep on your homestead. I’d love to hear about the breeds of chickens you keep on your farm, or want to keep on your farm, so there’s something I want you to do. I would love it if you dropped me a line at editor@thefrugalchicken.com to tell me what rare breeds you raise and why. Now, if raising rare breeds of chickens is something that interests you, but you’re concerned about how to best feed them so they’re productive and lay nourishing eggs, as can sometimes be the case with these rare breeds, you’ll want to check out my new course, Feeding Your Hens Right, which you can see at feedingyourhensright.com. Anyone who has a wheat allergy and can’t eat eggs will understand what I mean. A friend recently told me that if she feeds her chickens a wheat based diet, her son, who is wheat intolerant, will get sick. If feeding your family the most nutritious food possible is important to you, then you’ll want to check out my course. It’s 5 video workshops, that you can access at any time. There’s specific recipes for homemade feed that can be tailored to your particular needs, and you’ll learn how to raise a happy, healthy flock of chickens. Thanks for listening to this episode of What the Cluck?! about rare breeds of chickens, and I’ll see you next time! Which rare breeds of chickens do you raise on your farm? What are their advantages? Email me at editor@thefrugalchicken.com or comment below! Rare breeds of chickens can have certain advantages over common breeds. In this episode of What The Cluck?! you'll learn about 4 rare breeds of chickens, the one breed that can bring substantial income to your farm, and common mistakes owners make raising rare breeds.